Very shortly into the book I found I was quickly agreeing with much that Anne said and had also learned at least one very useful tip. I could tell you the tip couldn't I? but then you might not buy the book and then Anne would not be happy. 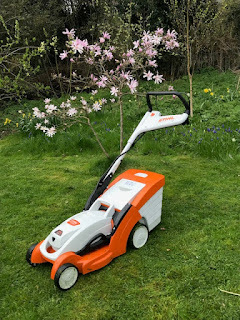 Whilst regular readers of my blog will know that I fit the description of keen gardener, I also have a full time job and gardening has to fit into weekends, evenings and the odd day off. Time matters to me and I cannot spend ages faffing around doing the unnecessary. There is much in this book that I could identify with and even justified some of what I have thought of as my lazier habits. Now Anne and I do not agree on everything. Anne encourages you not to sow biennials because 'life's too short', but I enjoy a good biennial. Anne's opinions on lawn care, which is to do as little as possible, coincide totally with my own. Things that I worry about, like getting my apple trees pruned, Anne says just don't. She never has and her trees are fine. Now I am still looking a little anxiously at my over-large Bramley tree but really this is missing the point. Anne's point, as I see it, is don't listen to the gardening magazines and tv programmes giving you lists of things to do, they are just enjoying themselves making lists. 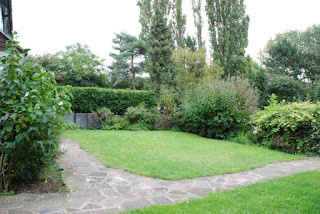 Don't do what you do not think looks right for your garden and don't just put up with things because that is the way the garden looked when you moved in. Anne gives one very important piece of advice, no two gardens are the same and what works in one will not always work in another. Anne both cites expert advice and tells you why expert advice might not work for you. The book is written in an authoritative and good-humoured way. Anne has a clear voice when she writes and her strong opinions are plainly put. I like the illustrations by Kate Charlesworth which are simple and amusing. There are 'deckchair tips' littered through the book, some of which are humorous and others which are genuine pieces of gardening advice. Did I enjoy the book? Yes I did. At times I agreed with it, at times I disagreed (wisteria is a great plant!) and at times it made me smile in recognition. I think the book will give courage to those who want to garden but feel overwhelmed by the experts and advice that bombards them. 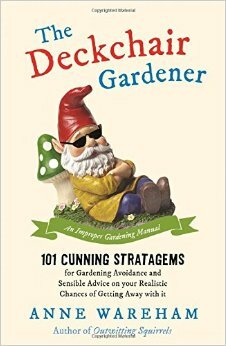 I think that more experienced gardeners would find it amusing and actually any book that makes you question your general way of doing things cannot be a bad thing. Oh, and do you remember that 'song' from back the in day that was advising people to 'wear sunscreen'? Well for Anne's version just think of one word...... mulch. The Deckchair Gardener is published by Michael O'Mara books. Thanks for the review. I've been thinking about getting this book and your review confirms it would be worth it. I'm not sure about the fruit tree advice, but I'm opened to being challenged on this!